The Java Archive Tool jar combines multiple files into a single JAR archive file. Options that control the jar command. Jar file to be created (c), updated (u), extracted (x), or have its table of contents viewed (t). The -f option and filename jarfile are a pair -- if either is present, they must both appear. Note that omitting f and jarfile accepts a "jar file" from standard input (for x and t) or sends the "jar file" to standard output (for c and u). Files or directories, separated by spaces, to be combined into jarfile (for c and u), or to be extracted (for x) or listed (for t) from jarfile. All directories are processed recursively. The files are compressed unless option 0 (zero) is used. Pre-existing manifest file whose name: value pairs are to be included in MANIFEST.MF in the jar file. The -m option and filename manifest are a pair -- if either is present, they must both appear. The letters m, f and e must appear in the same order that manifest, jarfile, entrypoint appear. The name of the class that set as the application entry point for stand-alone applications bundled into executable jar file. The -e option and entrypoint are a pair -- if either is present, they must both appear. The letters m, f and e must appear in the same order that manifest, jarfile, entrypoint appear. Temporarily changes directories to dir while processing the following inputfiles argument. Multiple -C dir inputfiles sets are allowed. Option to be passed into the Java runtime environment. (There must be no space between -J and option). To add all the files in a particular directory to an archive (overwriting contents if the archive already exists). Enumerating verbosely (with the -v option) will tell you more information about the files in the archive, such as their size and last modified date. To add an index file to the jar file for speeding up class loading, use the i option. If you split the inter-dependent classes for a stock trade application into three jar files: main.jar, buy.jar, and sell.jar. How do I delete the meta-inf folder in minecraft.jar? p7zip couldn't open it for me even after renaming it to zip (said "unknown suffix"). My system's default archive manager is file-roller, it opened the .jar witout any problems an I could delete the folder. unzip could also handle it, but you need to recompress manually after. How to replace a file in jar with command line in linux? will update file.txt in stuff.zip . Note that for -u file.txt must already exist in the zip file, and will only be overwritten if it's newer than the one in the jar. Click on "Add JARs" on the right if you want to add a JAR that resides inside your project or alternativly click on "Add External JARs" if they're located just somewhere on your hard disk. The first option is preferable though. Is there a way to edit files inside of a zip file without explicitly extracting them first? You could make a script for this also, but that gets complicated if you have compressed archives that contain multiple files. Let me know if that's what you need and I might be able to cook something up. This is because most files inside a JAR are compiled Java class files (file suffix .class). These are binary data, and vim is not really suitable for editing them, because vim is a text editor, not a binary editor. You can edit them in vim using the xxd command (see "Using xxd" in the vim docs), or you can use a hex editor, such as bvi. At any rate, directly viewing the contents of a class file is rarely helpful, as you need to understand the binary class file format to read them. Could you explain why you are trying to open files inside a JAR? Then maybe we can help. I believe that popular distros have packages that will sort it out for you, although I've not used it myself recently. http://ccc.sfbay/4291383/attachment/classpath.html entry, whether or not it is compressed. http://ccc.sfbay/guide/jar/jar.html#JAR%20Manifest for details explaining how the jar tool stores meta-information in the manifest file. An existing manifest file must end with a new line character. jar does not parse the last line of a manifest file if it does not end with a new line character. The manifest is in a text format inspired by RFC822 ASCII format, so it is easy to view and process manifest-file contents. http://ccc.sfbay/guide/jar/jar.html#JAR%20Index, which allows application class loaders to load classes more efficiently from jar files. If an application or applet is bundled into multiple jar files, only the necessary jar files will be downloaded and opened to load classes. This performance optimization is enabled by running jar with the -ioption. It will generate package location information for the specified main jar file and all the jar files it depends on, which need to be specified in the Class-Path attribute of the main jar file’s manifest. In this example, an INDEX.LIST file is inserted into the META-INF directory of main.jar. The application class loader uses the information stored in this file for efficient class loading. For details about how location information is stored in the index file, refer to the JarIndex specification. Creates a new archive file named jarfile (if f is specified) or to standard output (if f and jarfile are omitted). Add to it the files and directories specified by inputfiles. updates the foo.jar manifest with the name : value pairs in manifest. Extracts files and directories from jarfile (if f is specified) or standard input (if f and jarfile are omitted). If inputfiles is specified, only those specified files and directories are extracted. Otherwise, all files and directories are extracted. The time and date of the extracted files are those given in the archive. Lists the table of contents from jarfile (if f is specified) or standard input (if f and jarfile are omitted). If inputfiles is specified, only those specified files and directories are listed. Otherwise, all files and directories are listed. would generate an INDEX.LIST file in foo.jar which contains location information for each package in foo.jar and all the jar files specified in the Class-Path attribute of foo.jar. See the index example. Specifies the file jarfile to be created (c), updated (u), extracted (x), indexed (i), or viewed (t). The -f option and filename jarfile are a pair -- if present, they must both appear. Omitting f and jarfile accepts a jar file name from stdin(for x and t) or sends jar file to stdout (for c and u). Generates verbose output to standard output. Examples shown below. (zero) Store without using ZIP compression. Do not create a manifest file entry (for c and u), or delete a manifest file entry if one exists (for u). Includes name : value attribute pairs from the specified manifest file manifest in the file at META-INF/MANIFEST.MF. jar adds a name : value pair unless an entry already exists with the same name, in which case jar updates its value. http://java.sun.com/docs/books/tutorial/jar/ trail in the Java Tutorial for examples of using the -m option. Sets entrypoint as the application entry point for stand-alone applications bundled into executable jar file. The use of this option creates or overrides the Main-Class attribute value in the manifest file. 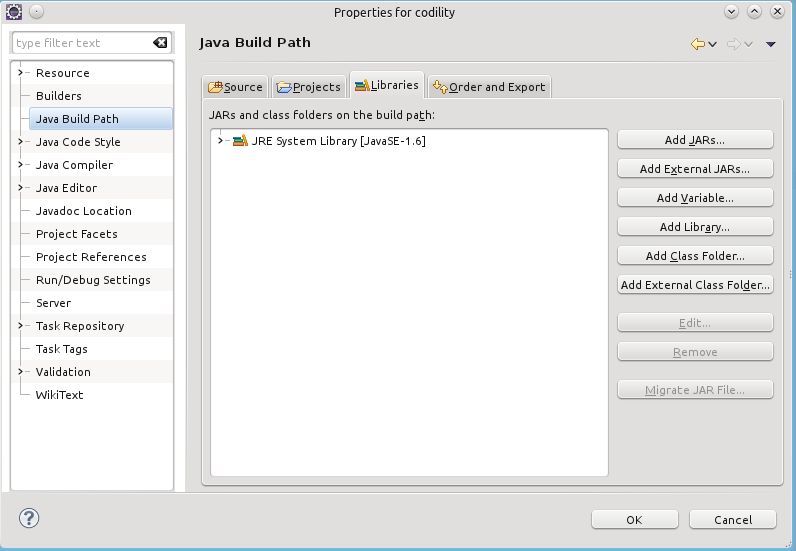 This option can be used during creation of jar file or while updating the jar file. This option specifies the application entry point without editing or creating the manifest file. Note: specifying both -m and -e options together when the given manifest also contains the Main-Class attribute results in an ambigous Main.class specification, leading to an error and the jar creation or update operation is aborted. Temporarily changes directories (cd dir) during execution of the jar command while processing the following inputfiles argument. Its operation is intended to be similar to the -C option of the UNIX tar utility. This command changes to the classes directory and adds to foo.jar all files within the classes directory (without creating a classes directory in the jar file), then changes back to the original directory before changing to the bin directory to add xyz.class to foo.jar. http://ccc.sfbay/4291383/attachment/java.html#options. For example, -J-Xmx48M sets the maximum memory to 48 megabytes. It is a common convention for -J to pass options to the underlying runtime environment. To shorten or simplify the jar command line, you can specify one or more files that themselves contain arguments to the jar command (except -J options). This enables you to create jar commands of any length, overcoming command line limits imposed by the operating system. An argument file can include options and filenames. The arguments within a file can be space&ndash;separated or newline-separated. Filenames within an argument file are relative to the current directory, not relative to the location of the argument file. Wildcards (*) that might otherwise be expanded by the operating system shell are not expanded. Use of the @ character to recursively interpret files is not supported. The -J options are not supported because they are passed to the launcher, which does not support argument files. When executing jar, pass in the path and name of each argument file with the @ leading character. When jar encounters an argument beginning with the character @, it expands the contents of that file into the argument list. http://java.sun.com/docs/books/tutorial/jar on the Java Software web site.